Samples can be made on any model Tensilkut machine quickly and easily. 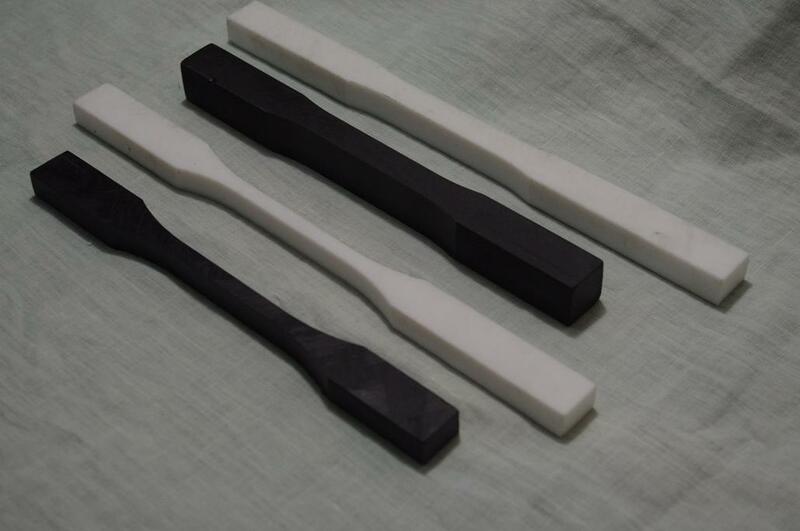 Below are white corian ASTM D638 Type I specimen and ASTM D638 Type II specimen, and black phenolic ASTM D638 Type I and ASTM D638 Type II tensile bars. Standard templates for many other test specimens are available. This entry was posted on October 11, 2013 at 9:54 pm and is filed under Uncategorized. You can follow any responses to this entry through the RSS 2.0 feed. You can leave a response, or trackback from your own site.